The Cost: $20 Styling fee (Pay for whatever items you keep minus the $20 credit)The Products: 5 plus-size activewear pieces selected for you based on your Style Profile. Super cute envelope for Dia Active—to be expected! My stylist, Monique, sent me another pleasant note with my Dia Active box! This time she encouraged me to share my pics in my new awesome gear with the hashtag #fittothrive. This allows me to share my looks in my new workout/lounge gear, but also to see other Dia Active subscribers rock theirs as well! I love seeing other women happy in their own skin, so I am all on board with this! The other form is an invoice that has a detailed list of the brand, name, color, size, and price of each item she selected for me along with the grand total after the styling fee and 25% off (if I opt to keep all five items) is applied. The savings would be $81 if I did decide to keep everything! That isn’t too shabby! That would be like getting the Lola Getts capri tights for free! This top is surprisingly big for a 2x, but I like that it is a little baggier especially for when I am at the gym. I used to wear a lot of oversized t-shirts when I would hit the treadmill, but I feel that this top will be more airy and comfortable. The top has ample stretch, so I could stand to go to a 1x if I wanted it to be a bit shorter and more fitted. The back has a twist back detail that shows off a little skin but is rather modest. I can see wearing this on errands as well to do grocery shopping in comfort. I had the pleasure of seeing Venus speak at The Curvy Con regarding the inspirational t-shirt that she designed for the Tee Up Change campaign. Dia & Co and the CFDA paired up with Venus, Lizzo (Queen Lizzo, that is! ), Christian Siriano, and other advocates in the plus size community to create these shirts. The best part? 100% of the profit goes towards inclusivity-focused projects at the CFDA’s educational initiative schools. I am all for future designers focusing on learning how to create killer plus size fashions! I somehow didn’t realize that Venus also teamed up with Dia Active for a killer active line! I was incredibly excited to get these pants in my box this month! These are ultra-comfy, with loads of stretch. The pants fit me perfectly in the belly but were a little baggier in the calves and ankles. I was surprised by that because your girl has some thick legs! Nonetheless, I love these pants and will definitely be power walking in them in my neighborhood this fall! I generally don’t wear a lot of pinks and purples, but I figure for work out gear I will be more flexible (see what I did there?). The material is a stretchy, thicker cotton. I love the nylon mesh fabric that creates the sweetheart neckline at the top as well. This detail is flattering, but also functional due to it providing breathability! The length of this top will work wonderfully with leggings. Talk about comfy—this skort is where it’s at! I love wearing skirts, but rarely do I consider wearing them for active wear. I was so excited to get this athletic skort. The material is similar to a spandex, has a nice stretch and shine. The back of the skort has a zipper pocket. I figure you can store a gym card or key in there for safe keeping. I used to play tennis (poorly) as a kid and I would have loved to have a skort like this piece! It pairs fantastically with the Rainbeau Curves top! I was excited to find another sweetheart style piece included in this month’s Dia Active box. This sports bra is well made and has some stretch. The mesh material is great too because it makes this piece a bit airy. This is ideal for a person that sweats as much as me! The only negative is this bra was difficult to put on and remove. Once getting on, though, it is immensely secure. I feel confident I will not bounce or flop around in this sports bra. I also like that it is black and can be worn with anything in this month’s selections or from my last Dia Active box as well! Verdict: My second Dia Active box had an amazing variety of pieces this time around as well! My favorite of the selections would have to be the skort. I don’t have any work out skorts, so this is a fun piece to have included and will be great for summer months. I am also excited to see that Venus Williams is doing her own active line exclusive to Dia Active! All of the pieces are high quality and incredibly well made, especially for the price. It makes the box such an awesome value! 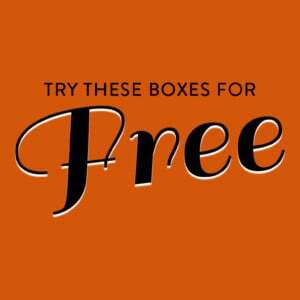 Value Breakdown: This box has a $20 styling fee and includes free shipping and returns. The total retail value of the items inside is $258.90. The cost of each item is listed alongside it above, but if I choose to keep at least 5 items, I get a 25% discount. The $20.00 styling fee for the box would also be applied to the purchase, meaning I’d end up spending $179.18 for the whole box. Ultimately, that is roughly a 30% off discount! That is a heck of a deal for two workout ensembles! Light blue looks amazing with your skin tone. Love the first outfit!